Facing poor yield rates from chipmaker GlobalFoundries, Apple has apparently made an eleventh-hour call as it solidifies its supply chain for the next-generation iPhone, opting to award nearly a third of "A9" chip orders to Taiwan Semiconductor Manufacturing Co. Well-connected analyst Ming-Chi Kuo of KGI Securities issued a note to investors on Wednesday, a copy of which was obtained by AppleInsider, revealing that Apple has apparently made what he called a "last-minute decision to recruit TSMC." Apple is said to have called an audible after partner GlobalFoundries continued to experience poor yield rates on production of the next-generation CPU. Specifically, GlobalFoundries' "A9" chip yield rate is said to currently be at about 30 percent yield rate, which is well below what Kuo said is a mass-production "basic requirement" of 50 percent. Apple is said to have turned to TSMC after partner GlobalFoundries showed exceptionally poor "A9" chip yield rates of around 30%. 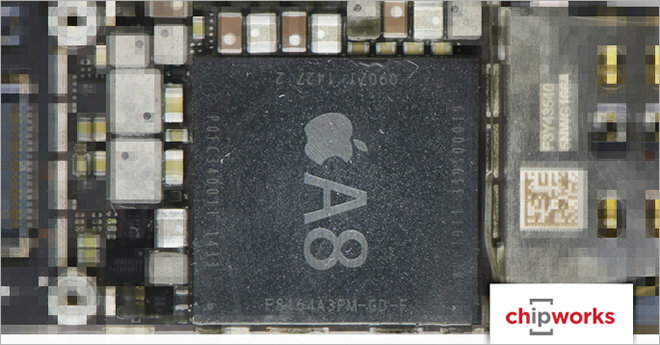 "Recruiting TSMC reduces supply uncertainties for Apple," the analyst said. Another factor in the decision, according to Kuo, are concerns from Apple that Samsung's chipmaking business may not be able to supply enough of its 14-nanometer design. That's because initial sales of the Galaxy S6 and S6 Edge have apparently been greater than expected, and may pull 14-nanometer orders away from Apple. Finally, Kuo also indicated that TSMC's competing 16-nanometer FinFET Turbo design has exceeded Apple's expectations in both yield rate and performance. Another industry analyst said much the same in a report last month. Citing a recent trip to Asia, Timothy Arcuri from Cowen and Company said strong yields and attractive pricing led him to believe that TSMC had secured a large portion of Apple's A9 order. Apple's 2015 iPhone update is widely expected to sport a next-generation processor based on a smaller and more efficient design. Multiple reports have indicated that Samsung will build the majority of "A9" processors for Apple's next-generation iPhone. Samsung had a stranglehold on Apple's mobile processor business, building all units for the iPhone until last year. That's when TSMC began contributing chips for the iPhone 6 and iPhone 6 Plus, using a 20-nanometer process for the A8 processor that powers Apple's flagship handsets.